Špela Kozamernik reshaped her career after her MBA at HEC Paris, with a change of location, job role, and scope. Having become fluent in French during her degree, she landed a global leadership position with marketing and advertising firm Proximity BBDO. Špela’s career switch to Paris from Slovenia after her degree was made easier with the help of the HEC Paris alumni network and support systems. 92% of the MBA intake are international students and have access to an alumni network of over 57,000 students worldwide. This means HEC Paris grads have an invaluable resource to leverage when deciding where to build their careers. 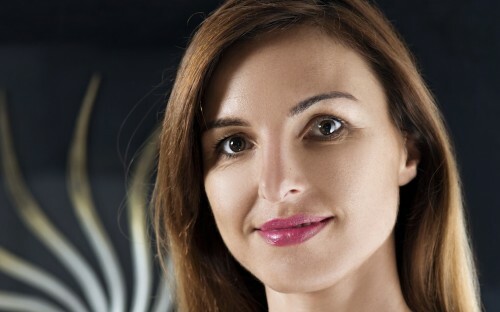 Completing her degree with a specialization in entrepreneurship, Špela took on several prominent roles at the university during her degree, becoming president of the MBA Entrepreneurship Club as well as the director of the Technology Club. Through these extra-curricular experiences, she was able to hone key skills which help her today, and build a professional network that has proved invaluable whilst building her new career in Paris. How has the HEC Paris MBA opened new career opportunities for you? There have been a number of changes. I changed the country I was working in from Slovenia to France, I changed the institution I was working for, I changed the scope of my role from regional to global, and I changed the field I’m working in. I was previously more focused on advertising and marketing strategy, whereas now I deal with much more technical and digital aspects of marketing management. The HEC Paris MBA helped me transition into the more technical areas with a better understanding of the theory behind the roles. So yes, it has been intense, but a rewarding and transformative experience. I would do it all over again! How were you supported by the school in starting a new career in Paris? The HEC Paris alumni body, colleagues and even one of the professors whom I respect tremendously, were more than helpful. With their assistance, I was able to build my professional network, find a mentor and they even recommended me for a number positions. This assistance really helped me to get my foot in the door and start my career in a new country. What did you learn from being president of the entrepreneurship club? It really helped me with getting to know the cultural differences among students more profoundly. I now have a deeper understanding of cultural diversity and its benefits. I currently lead an interdisciplinary international team of experts, which consist of more than 20 nationalities and I still rely on the skills I learned whilst working with the amazing, ambitious, entrepreneurial colleagues of mine. In the end, it also proved to be a great opportunity to build my professional network. I still keep in touch with the founders and professionals I met while organizing events and conferences for the club. HEC Paris was my first choice school. Firstly, I loved the fact that it offered the entrepreneurship specialization. This enabled me to undertake a practical application of the theory all while working with researchers from the most prestigious engineering schools in Paris on their technology transfers. I was also excited by the school’s top reputation in delivering the best marketing courses. And the length of the program was a perfect fit for what I was looking for. The most motivational post of mine should be regarding the digital marketing industry and the most popular thing about this digital marketing is the world fastest growing industry.<a href="https://hpsupports.co/"></a>. This is a very good post regarding job in the digital marketing field for MBA student. To know more about this visit <a href="https://quickbooksupports.co/">quickbooks support</a>.